I just realized I’m on a bit of a pecan kick today. First the haystacks and now these bars. Kind of funny actually because I didn’t like nuts growing up in my food at all. My Grandma always said “your tastes will change as you get older” and I guess she was right. Although, I seem to remember her telling me that when I would wrinkle my nose because she was making some kind of horrible smelling creamed fish for dinner. Luckily, my tastes haven’t elevated to that level.. But overall, she was right. My tastes have dramatically changed, especially over the past five or so years. 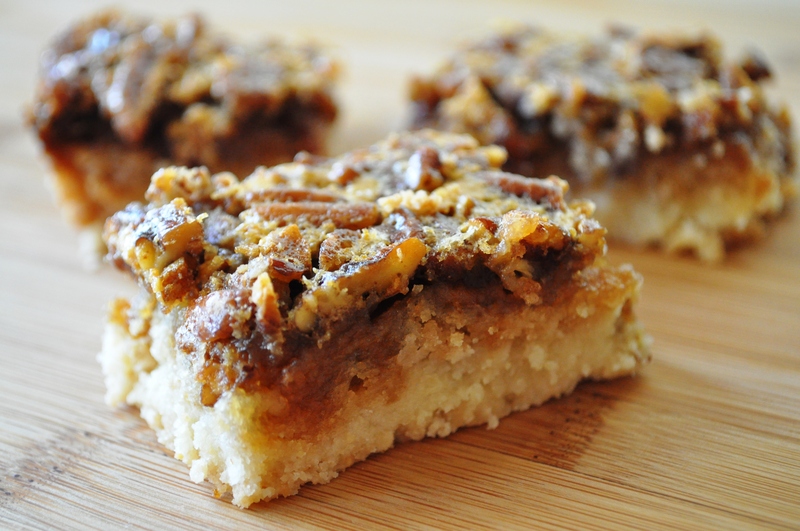 These pecan bars are perfect. Well, perfect in my eyes anyway. I never liked pecan pie growing up because I didn’t like all the filling. I preferred a little filling with a lot of crust. 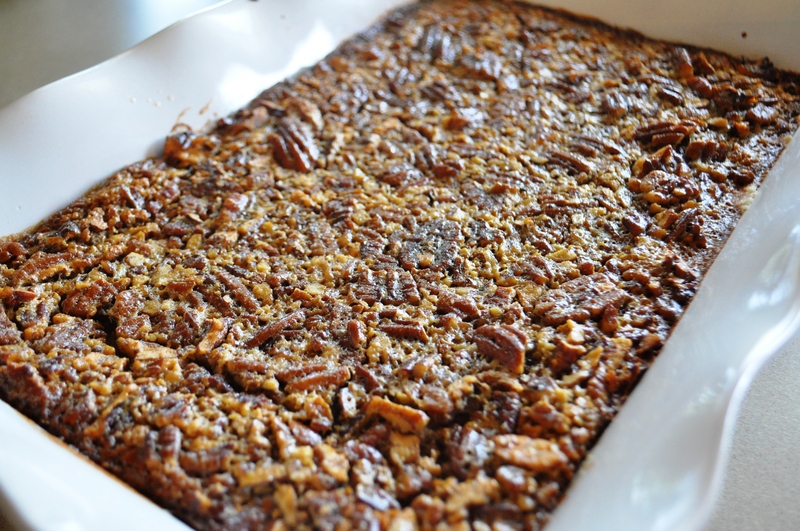 The original recipe for these bars came from Recipezaar and had gluten and dairy (of course). I tweaked it a lot to get it to my liking. Now it has the perfect amount of crust verses filling and comes in the form of a handy little bar and not a mushy pie with too much filling and not enough crust. These bars also freeze very well for use later. They are also quite tasty straight from the freezer. They don’t freeze completely solid so you can grab one whenever you like. Preheat oven to 350 degrees. 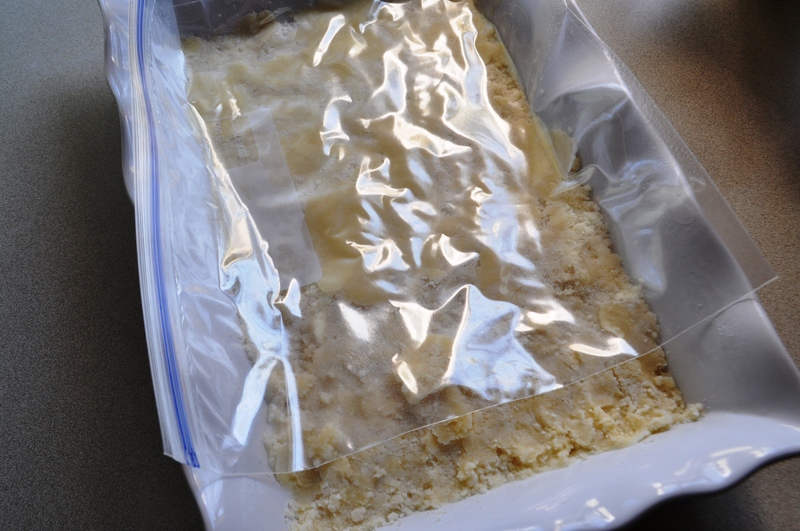 Spray an 9×11 baking pan with non-stick spray and set aside. 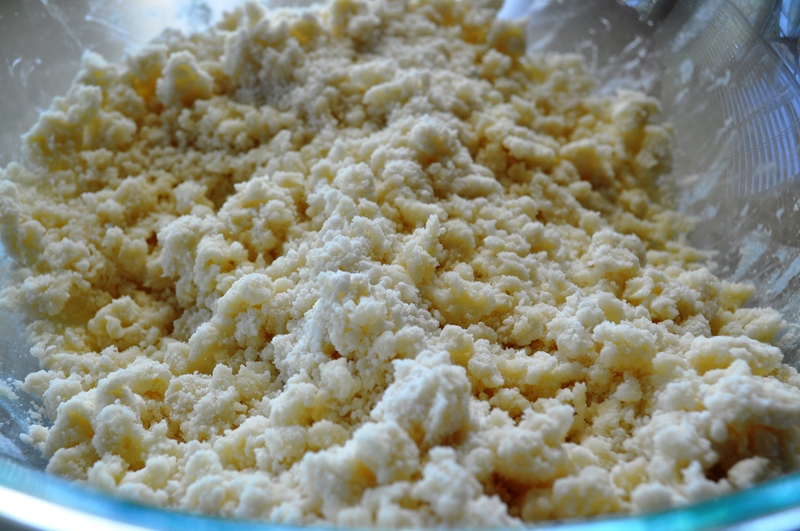 Pour mixture into the greased pan and pat down until it is firm and forms a crust. I use parchment or a plastic bag sprayed lightly with non-stick spray. You can also use your hands but when the butter warms it will stick and be very frustrating. 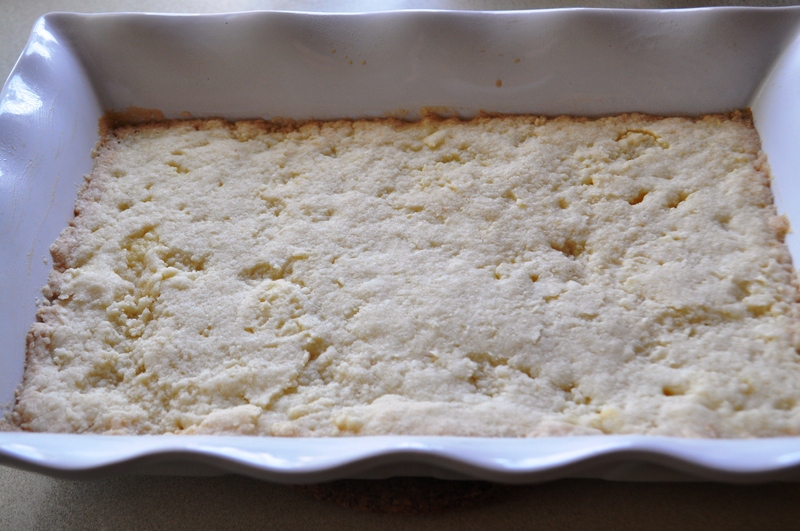 Bake crust in pre-heated oven for 30 minutes or until edges begin to lightly brown. 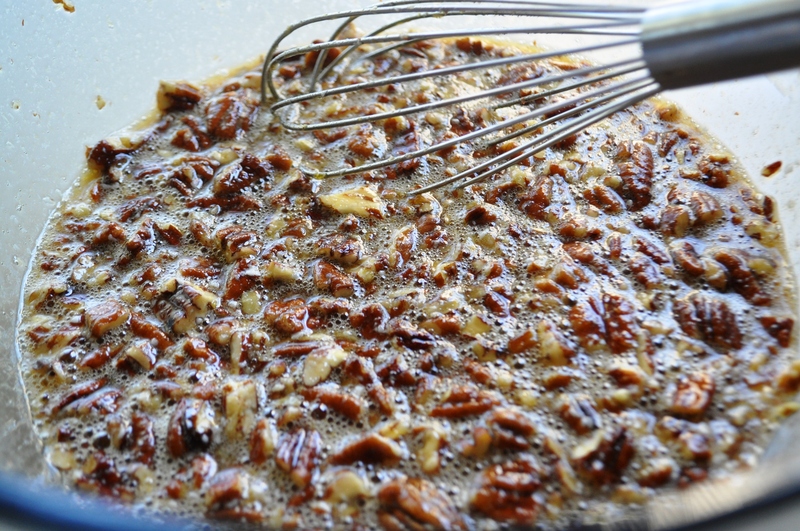 Place all ingredients except the chopped pecans in a large bowl and whisk well until combined. Add nuts, whisk. 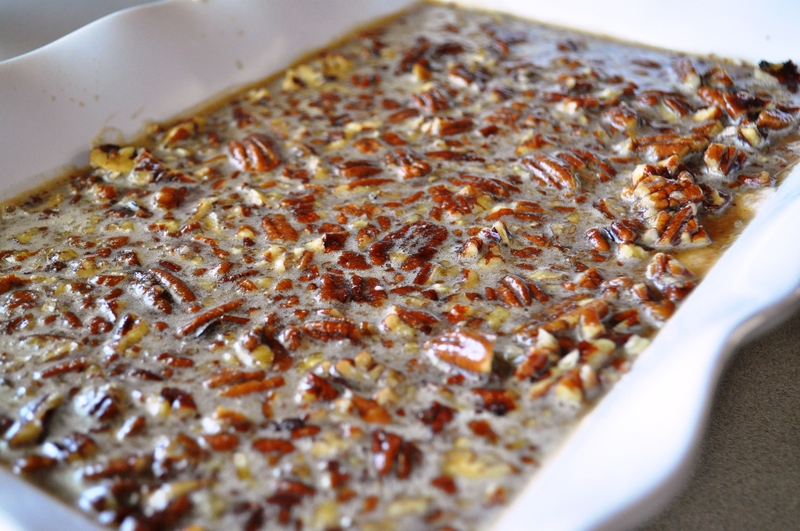 When the crust is done, remove from oven and pour pecan mixture over the hot crust. Bake for 30 minutes. Cool and cut into squares. Oh wow, these sound incredible! These look amazing! My whole family will love these. I had the honor of actually eating these awhile back. April made them for a party I attended while visiting her neck of the woods.. I have to tell you, these were sooo delicious that I think about them way more often than is healthy. I finally got around to making them tonight. They turned out really good, except for I cooked the crust a little longer than I would have liked, but they did not burn. I forgot that I need to reduce the temp and time because I am close to sea level. I’ll be taking them to the Gluten Intolerant Group of south and central Texas’ Thanksgiving potluck on Saturday. I am sure they will be a hit. Of course, I’ll keep a few of them at home for me……:) Thanks for another winning recipe April. I said mine turned out “really good” because I was basing it on how it looked only. It was finally cool enough to taste and it was out of this world amazing in every way. I was afraid I wouldn’t make it as well as April did, but it’s just as good. She is right when she says that this is easy to make. I feel like a gourmet! Hey April, the bars were a HUGE hit! I made another triple batch for the party since my family ate the first batch before the party. Every single bar got eaten, people were loading their plates with them and writing down your website address! This recipe is such a big winner! Thanks again for it! I’ll try those clementines next! These sound a lot like a gf/df version of a recipe that used to use from an old Betty Crocker cookbook. Is it possible to use coconut oil instead of Earth Balance? I think I’ll try these for our Christmas gathering. i haven’t looked for it yet, but where do you suggest I find the almond flour? If I can’t find it, would a gluten free flour like Bob’s Red Mill work? Hi, I actually made it once using half Bob’s red Mill all purpose gf flour and Bob’s red mill Almond flour. It turned out very well.